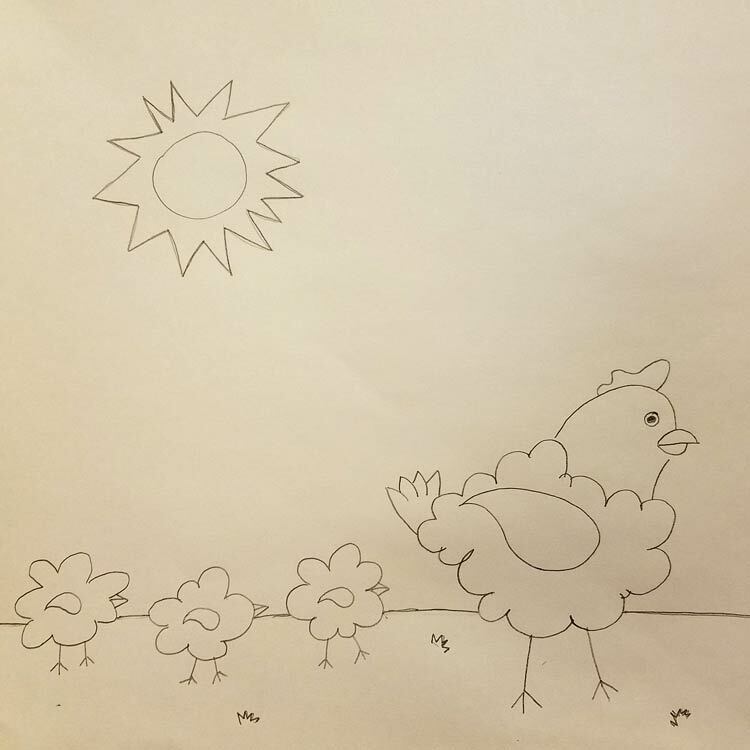 Everything You Need to Know to Draw the Wooly Hen! 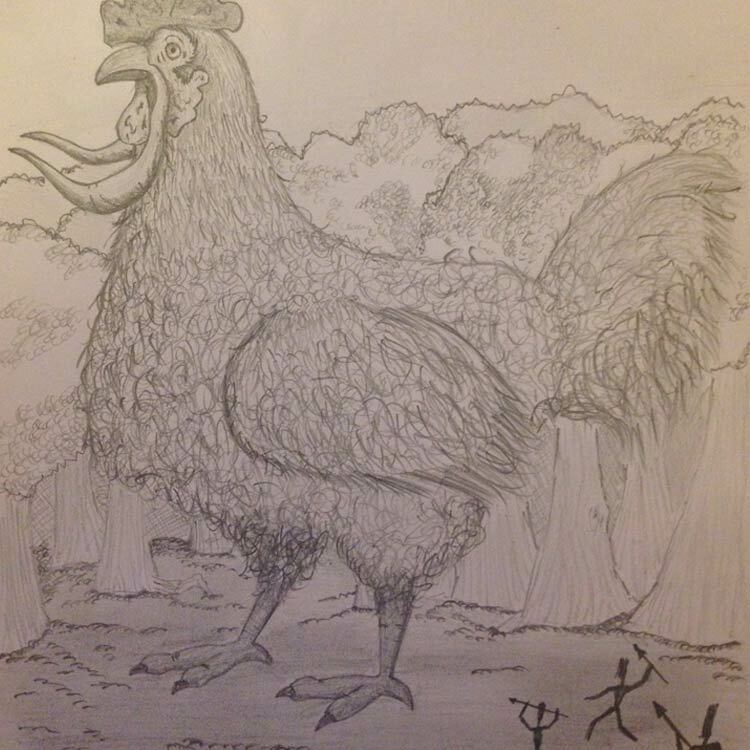 Like the Famed Mammoth, but Chickeny! So The Travels of Sir John Mandeville is to Europe of the 1400s sort of like the Guinness Book was to 1960s America… everyone had one (well the few “everyones” who read) And like the Guinness book, it offered a window to the strange somewhat obscene and absurd world that existed beyond the horizon. 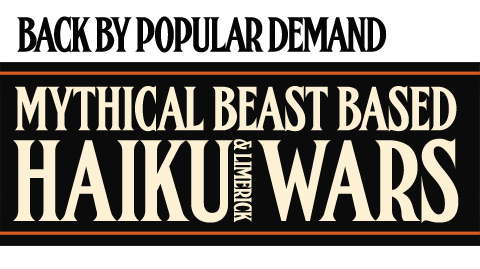 It told tale of an adventurer’s travels from the south of France through the holy lands and into asia and all the oddities held therein. Now beyond that, we don’t know how big they are, we don’t know how itchy their wool is nor even if they make delicious gyros. 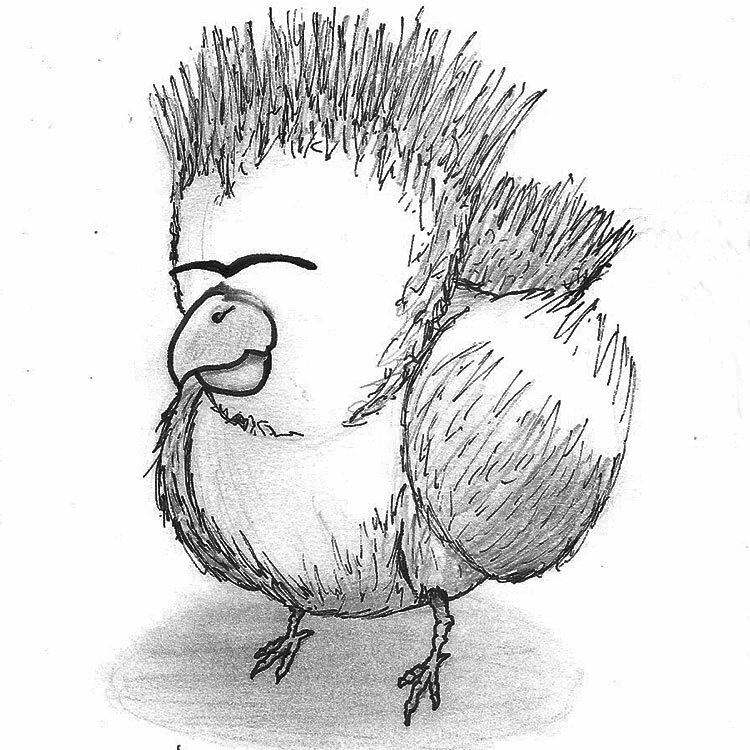 We just know they are white, wooly, chickens and from a place called Latorin. So get to it! All I ask is you don’t try too hard and have fun with it! 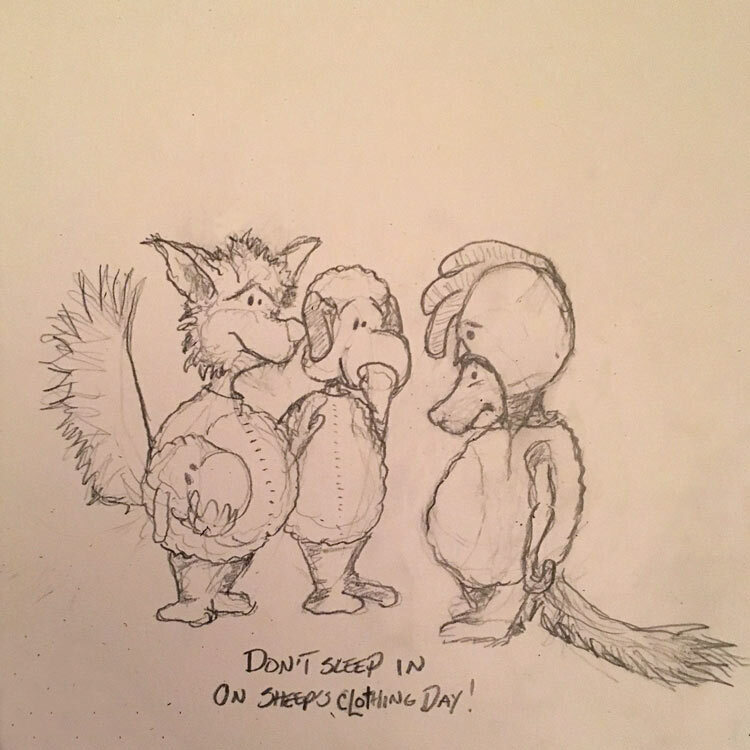 We’ll close off submissions for judgement midnight of Friday the 24th… As always, We’ll gather the judges council and pick one to win a shirt, so get your asses doodling! Now it gets exciting cause Ken exclaims “how can you guys pick 6! those tusks are terrifying! 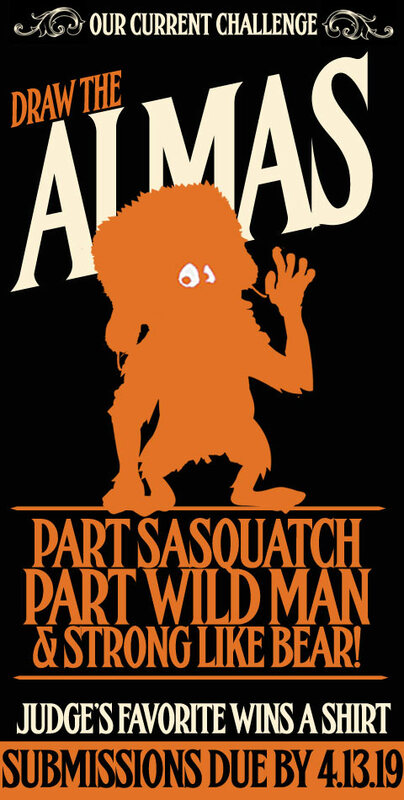 !” To which Judge Cody chimes in with: “I choose 6, mainly because the tusks scare my good friend Ken so much”. Since we’ve got a clean 3 vote win, and it’s going to a new guy, I’m just staying out of it! Congrats to our winner, I’ll be in touch about your prize. Disagree if you must but know that judgement is law and to the winner a shirt will go…. 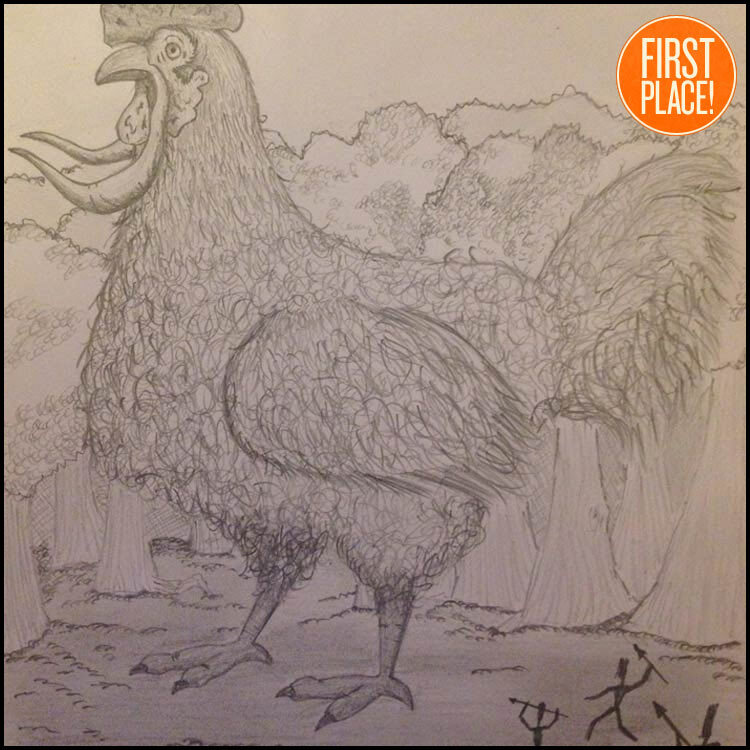 Thanks to drawers and judges alike. 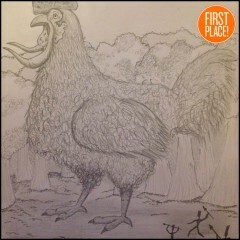 And even though the contest is done we’ll always welcome new Wooly Hen drawings for the archives! 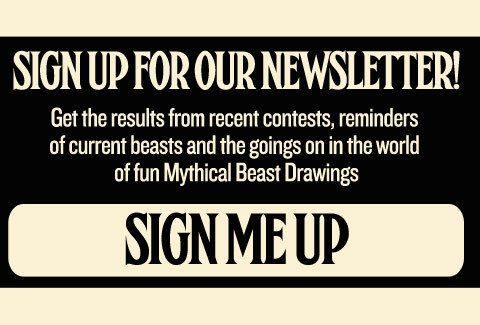 So get to it and remember, 25 beasts drawn earns you a shirt! 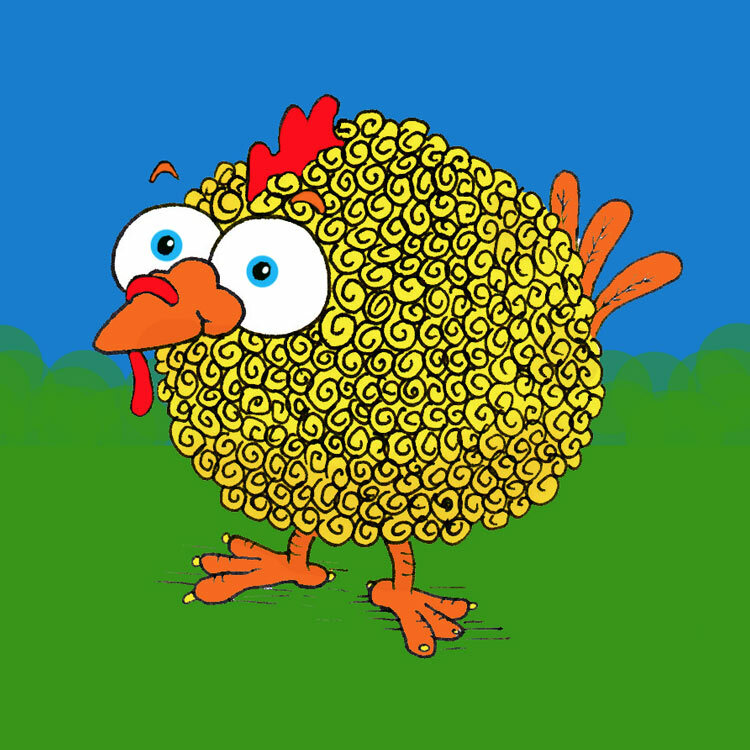 So how’s this as a metaphorical wrench in your mythical knowings… what if the golden fleece really came from a chicken?… Dammit that’s a contented lookin’ hen! Feel’s a lot like maybe this was subconsciously plagiarized from Gary Larson…What can I say, I had a lot of Far Side calendars growing up! Holy crap! That is one hell of a chicken! 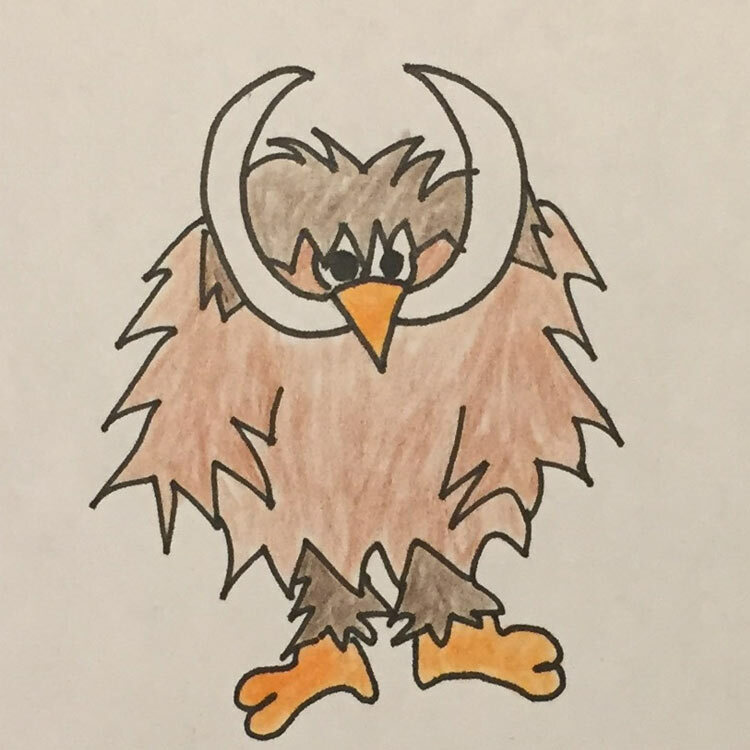 And such a solid pachyderm-esque look of sadness mixed with surprise in those lil beady eyes… but seriously, just imagine that smell that wafts from the combo of chicken, fur and enormity! 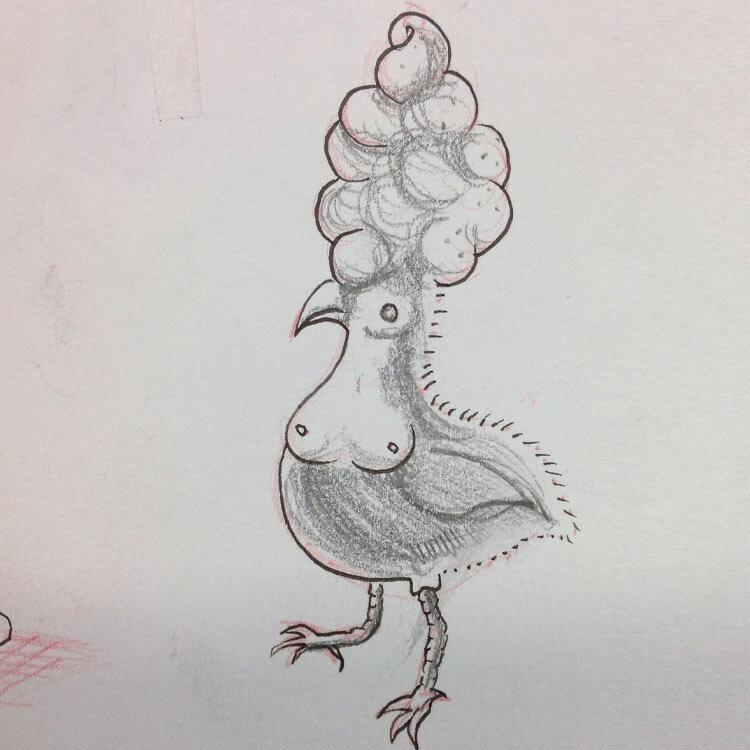 Man this twice boobied bird has gone and gotten its wool done up something special! Look at the pride in those eyes… now hope it never rains again… And dammit now I want some soft serve!